Lancashire Music Hub are creating a secondary singing strategy and are using this network meeting as the opportunity for consultation on this work. The Hub want your voice and experience as part of the development process and also want to hear from schools as to what support or skill development is needed around the County to support outstanding singing in all schools. Before this meeting, the Ripley St Thomas Chapel Choir will be singing their fortnightly service of Choral Evensong in the school Chapel. For a moment of calm reflection you are invited to come along to this service, which starts at 4.15pm. 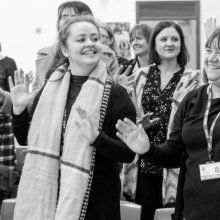 Any teachers who can make the rehearsal at 3.15pm are most welcome to sing in – email Don Gillthorpe gillthorped@ripley.lancs.sch.uk if you would like to do this, so that a pack of music can be made up for you.